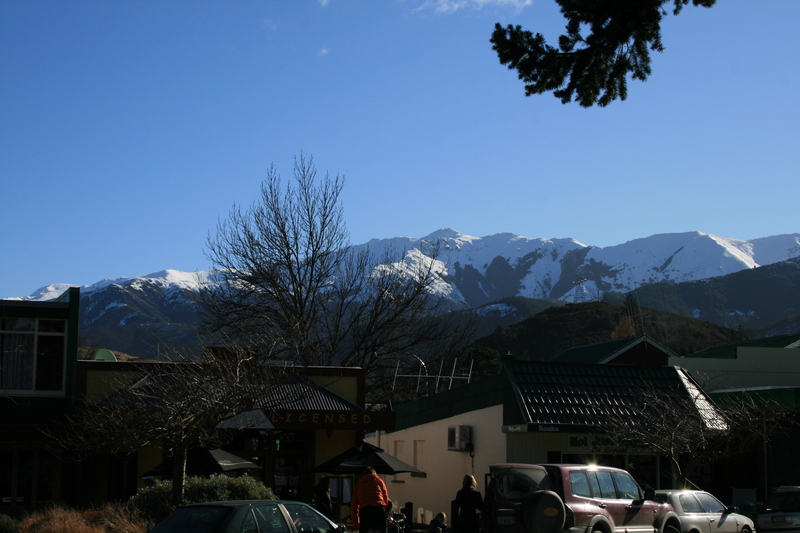 This is the last part of the New Zealand Special: Our last trip from Christchurch was a bit more exciting or rather relaxing than the train ride with the Tranzalpin: we went to Hamner Springs, an alpine town with thermally heated spring water which has a highly famous Pool & Spa. At 140km from Christchurch it makes a good day trip. We booked a tour including transport and the entrance to the pools. 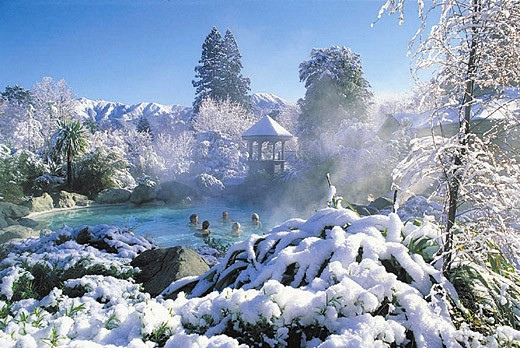 The Thermal Pools & Spa area has a range of outdoor pools – twelve thermal pools, three sulphur pools, a freshwater, heated swimming pool and a “Lazy River” as well as a family activity area all located in a nicely set park like surrounding in a little town near the Southern Alps. This was the perfect trip to complete our road trip around New Zealand. We had travelled quite a lot of kilometers, had seen many beautiful places from Wellington to Christchurch and still found the time to relax in the end. This entry was posted in New Zealand and tagged Christchurch, Hamner Springs by kathatravelling. Bookmark the permalink.